The new PDPM goes into effect October 1, 2019. Get ready with this special session at the IO Leadership Conference. PDPM changes the payment model to one based on patient characteristics instead of therapy. The session will provide an overview of PDPM, and answer all your questions. You’ll also get guidance on tools to align your building operations to the new payment model, as well as better prepare your staff. 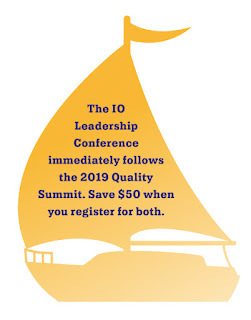 In addition, the IO Leadership Conference will address other key challenges such as workforce stability, risk bearing and sharing.